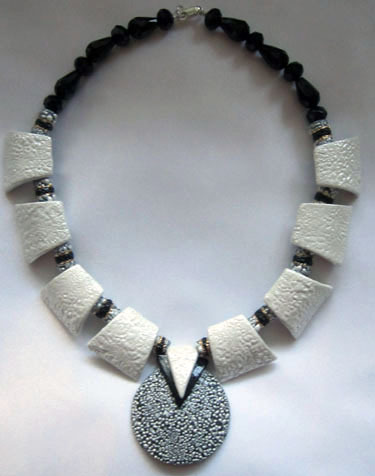 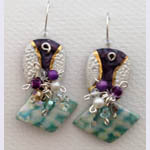 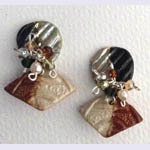 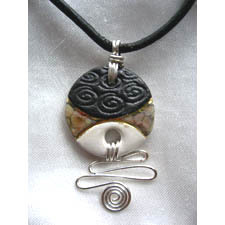 Winnie Tam is an award winning designer who creates beautiful hand-crafted porcelain jewelry for individual collectors around the world. 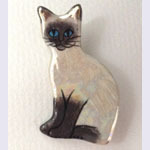 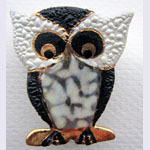 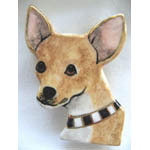 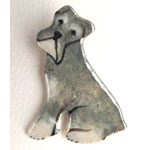 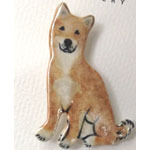 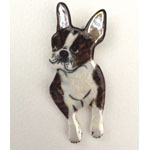 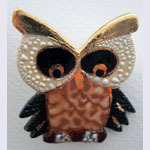 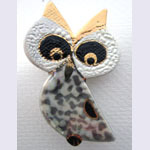 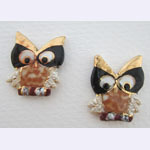 Her unique line of wild life animals, cat, and dog brooches will appeal to pet lovers, and her artistic jewelry to those who appreciate simple, elegant, and wearable art. 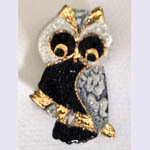 Free shipping for orders over $300. 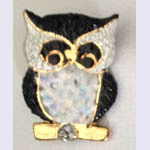 Contact Winnie by phone ( 604-737-8186) or by filling the contact form on the Contact Us page for retail & wholesale orders . 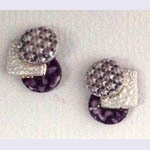 Please contact Winnie regarding wholesale price. 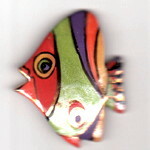 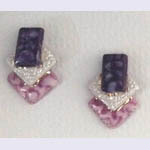 *****All price listed in this web site are retail price in Canadian Dollars . 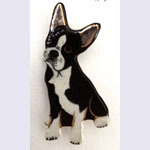 Payment can be made by Paypal, (even possible for customers who have no Paypal account ), they can just submit orders on the contact form on the Contact Us page . 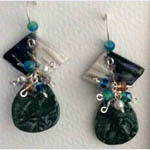 invoice will then email to them via Paypal, and their payment can be made through Paypal. 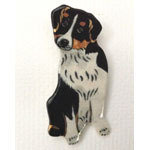 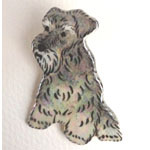 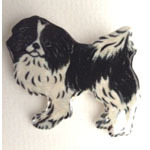 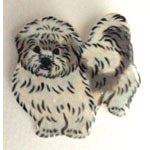 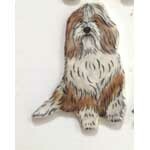 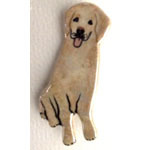 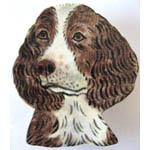 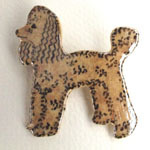 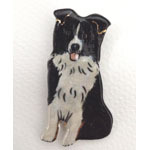 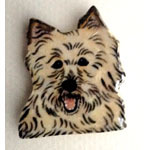 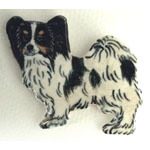 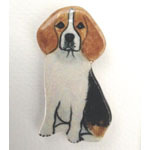 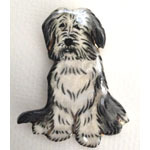 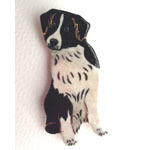 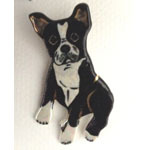 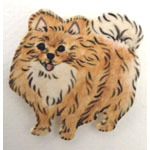 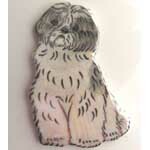 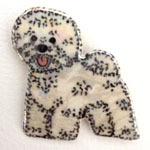 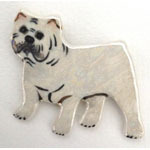 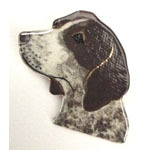 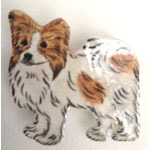 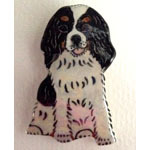 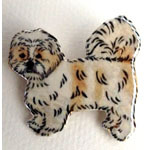 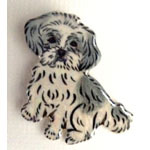 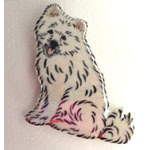 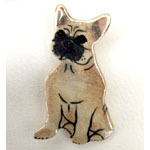 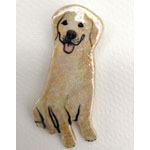 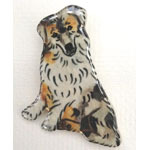 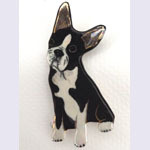 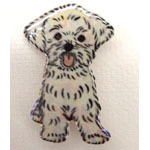 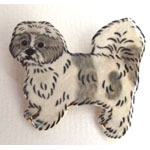 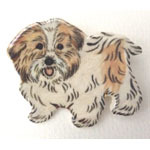 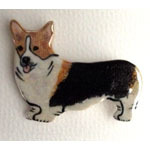 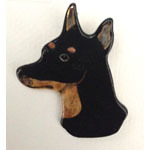 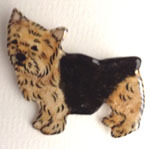 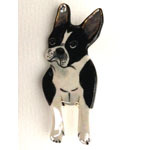 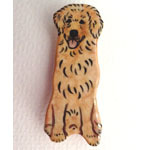 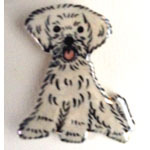 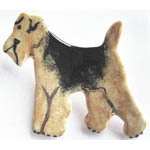 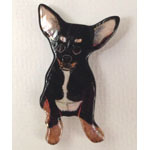 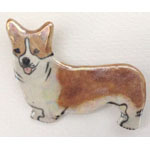 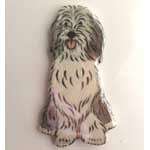 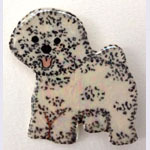 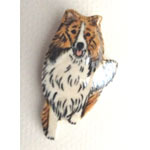 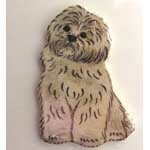 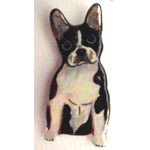 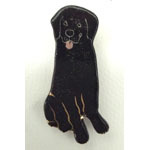 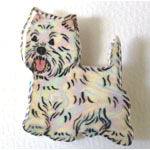 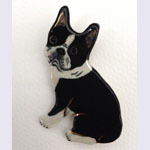 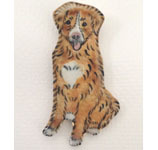 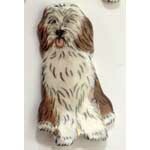 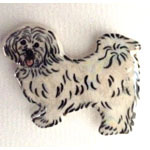 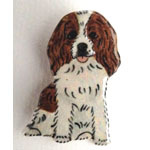 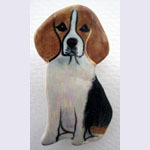 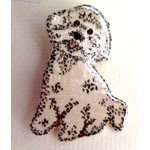 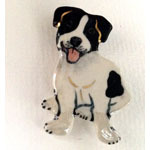 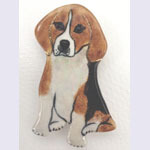 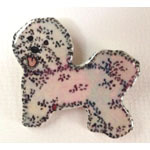 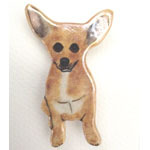 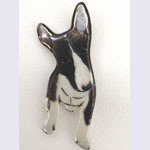 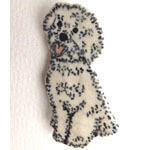 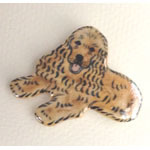 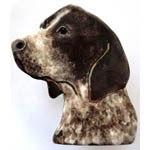 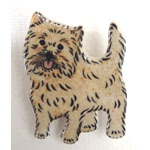 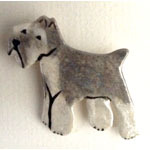 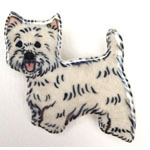 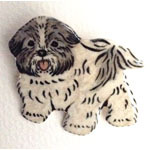 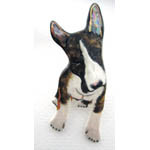 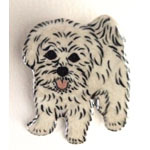 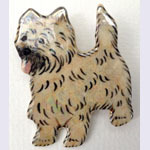 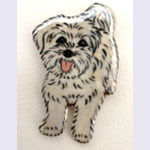 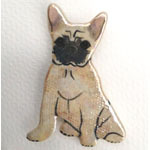 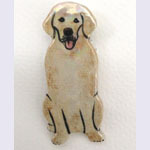 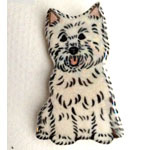 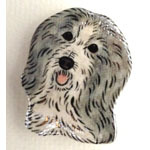 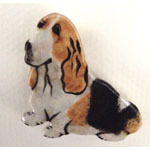 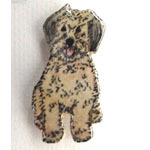 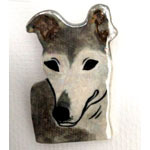 *******Contact Winnie via Contact Us page to send her a message regarding custom dog pins. 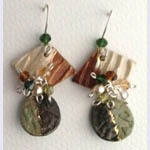 Each custom work is $35, shipping & sales taxes not included. 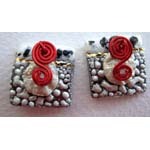 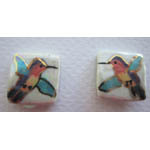 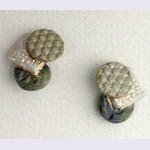 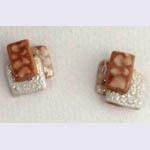 *****Clip-On Earrings may be available on requests . 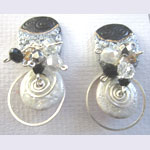 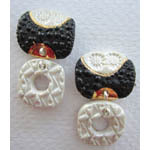 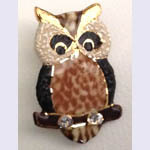 For wholesale and consignment orders in B.C. 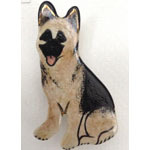 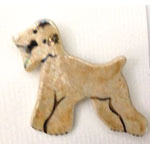 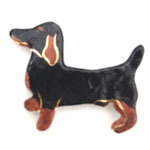 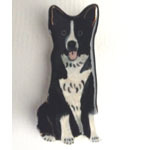 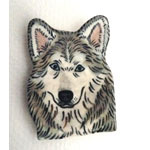 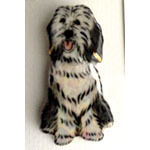 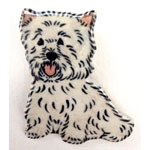 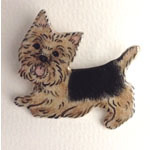 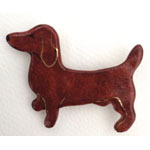 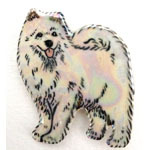 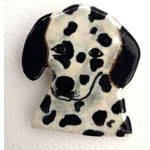 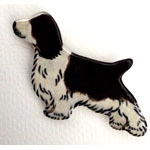 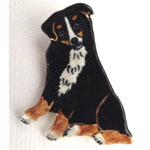 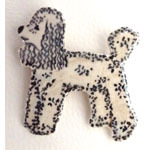 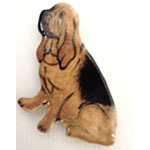 Interiors, Vancouver Islands and Alberta, please contact sales representative Lynda Yager of Pentacle Distributing at 1-250-380-2585 , Lynda can recommend starter kit wholesale dog pins of 35 or 50. 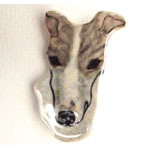 How It's Made Winnie begins each piece by hand shaping or cutting out shapes from thin sheets of rolled out porcelain clay. 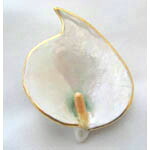 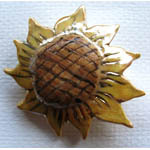 Thin knife and sponges are used to clean edges of all pieces.Underglazes are then painted free-hand on the green wares' surface. 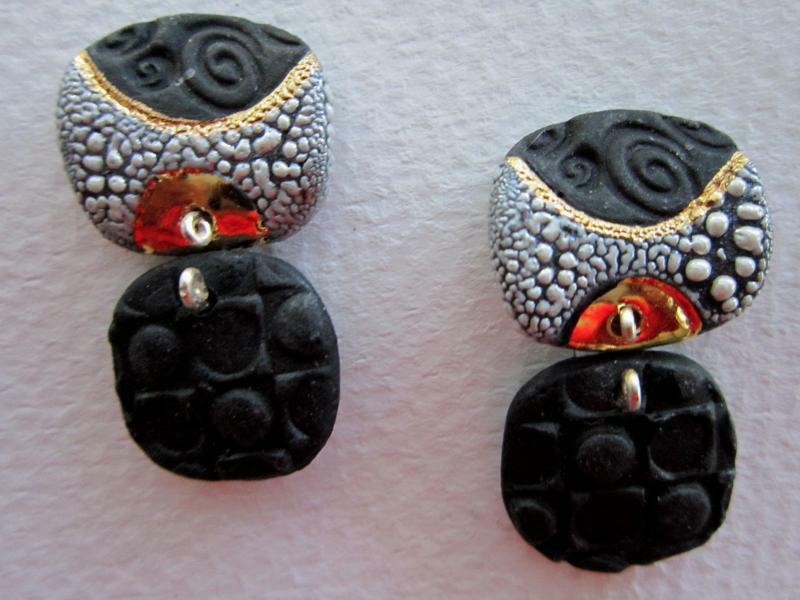 Every item is then fired four times. 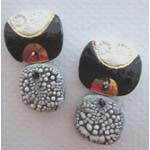 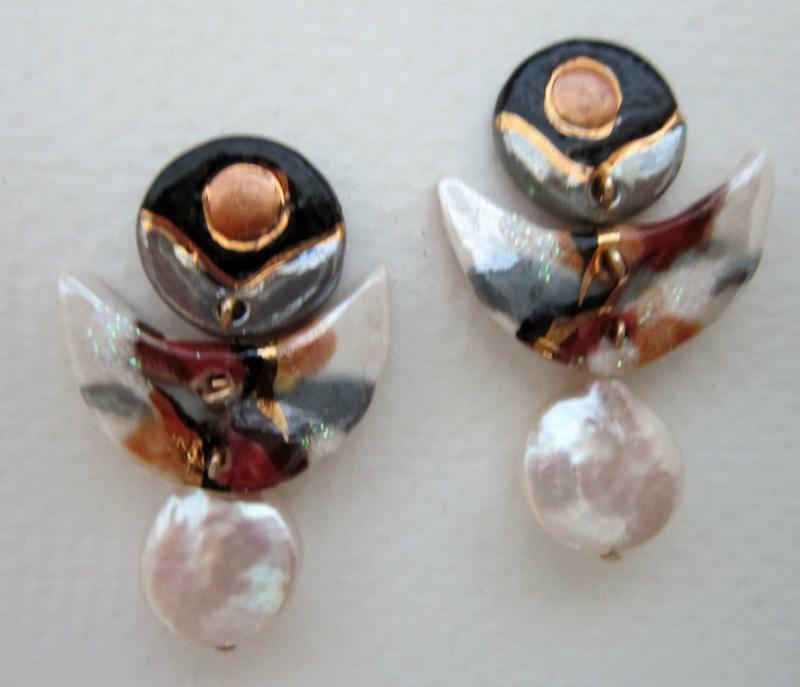 Mother of pearl and 22K gold luster are painted on pieces before the last two firings. 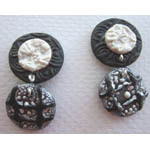 Findings are then attached to finished pieces. 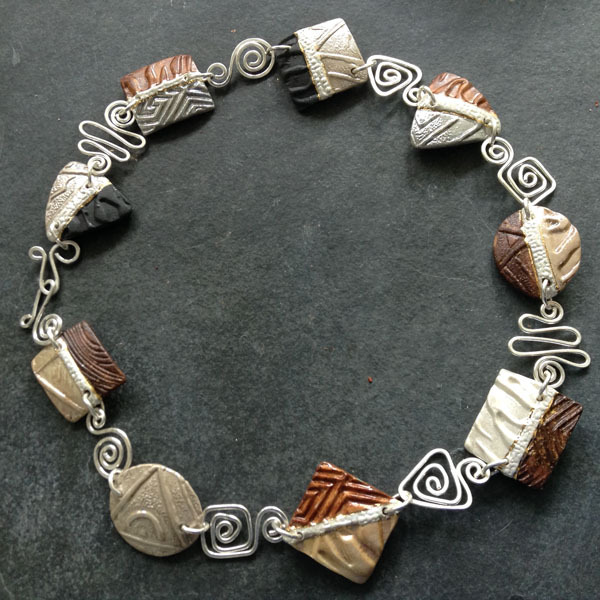 Metal wires, gem stones and beads are sometimes added for decoration , and the findings are of excellent quality and made of hypo-allergenic stainless steel. 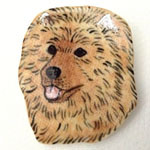 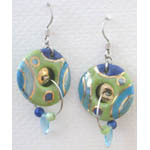 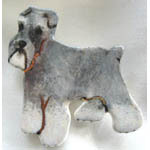 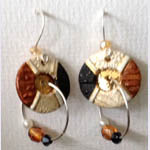 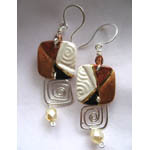 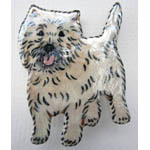 Winnie's works are displaying in museums gift shops, galleries and gift shops throughout Canada. 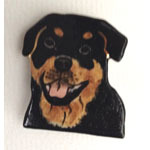 For your convenience, full color on-line pictures can be viewed by clicking on the Product Category tabs, as well as all the different category tabs on the left. 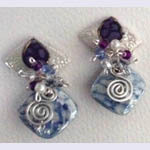 by sending her a message or an order by filling the contact form on the Contact Us page. 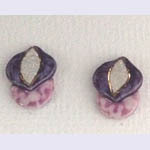 Please include order, email address , and mailing address . 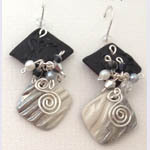 Invoice will be sent shortly via email for them to pay by Paypal.